Jakarta Provincial Government wants to strengthen its relation and cooperation with countries in Asia Pacific region by holding Diplomatic Corps Gathering at Sunda Kelapa Room, City Hall, Tuesday (4/9).
" We invite ambassadors from Asia Pacific countries to gather once a year"
"We invite ambassadors from Asia Pacific countries to gather once a year. 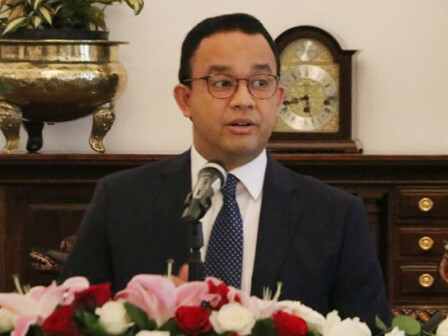 In this event, we can strengthen our relationships and cooperations," stated Anies Baswedan, Jakarta Governor, Tuesday (4/9). According to him, this meeting can also open potentials to cooperate in various sectors, such as human resources development. "Jakarta is ready to send the best human resources to learn about other countries, especially their experiences. Thus we can use it as reference in making policies," he mentioned.